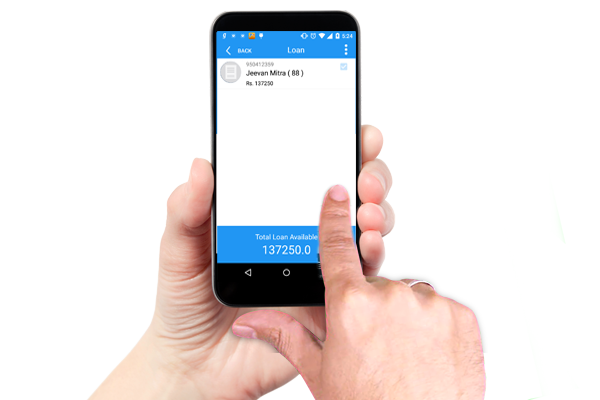 An app loaded with all plans and plan videos explained in depth carries super convencing power. Use this power to convert your every prospect into your customer. Supportive marketing material like plan brochures, cashflow generater, premium calculator and more to give you super support while prospecting. 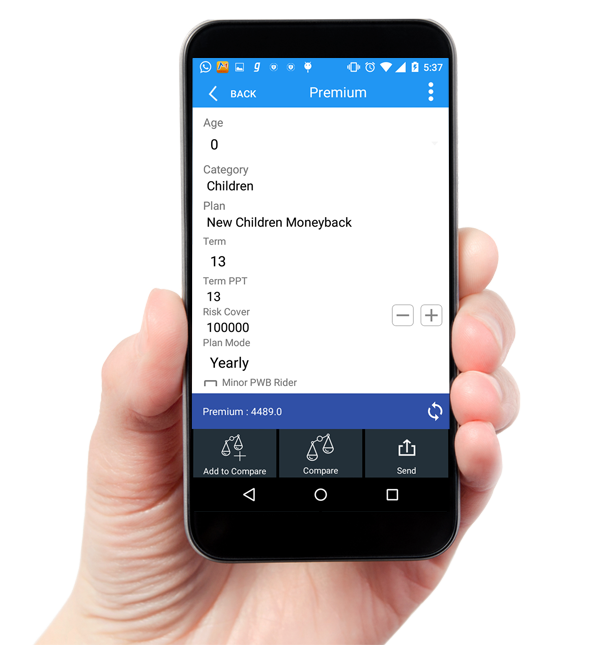 App suggests you the plans compatible for your prospects. 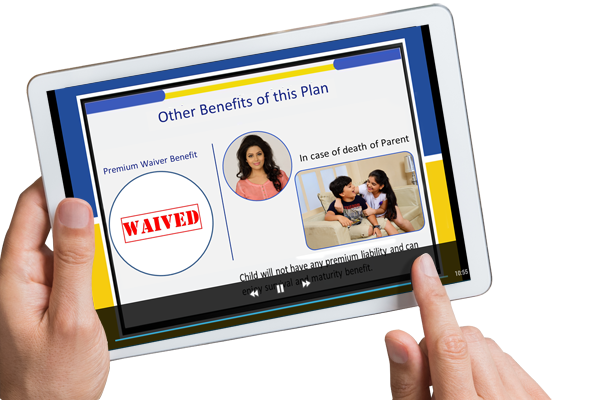 For every plan, there are Salient Features, Advantages, Conditions, Age Limits, Ready Brochures, & Videos. 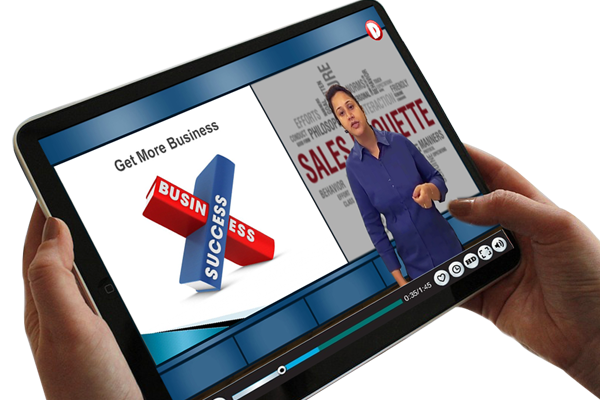 The Videos include presentation explaining policy in layman terms narrated by Insurance Specialist in the Country. This will help conversion of every prospect to customer. You may suggest multiple policies to your prospects and also show them their comparisons to make selection very easy. 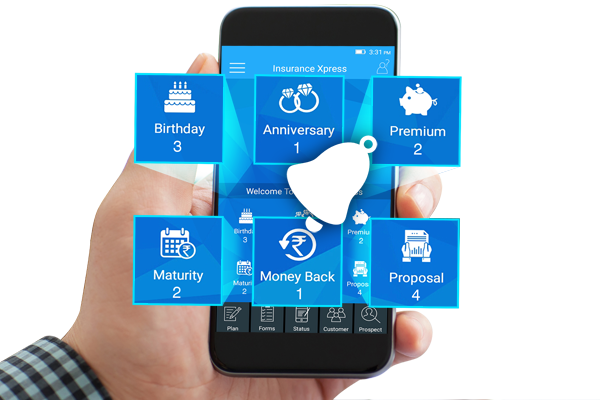 Insurance Xpress App will make premium calculation ready for you within seconds without you entering any data as data like age is directly picked from Prospect's details. Your communication should be more attractive and presentable. Ready stationary can be used in creating reminders, documents Cashflow and or use from your galleria. Get the inbuilt loan calculator, with a single click. 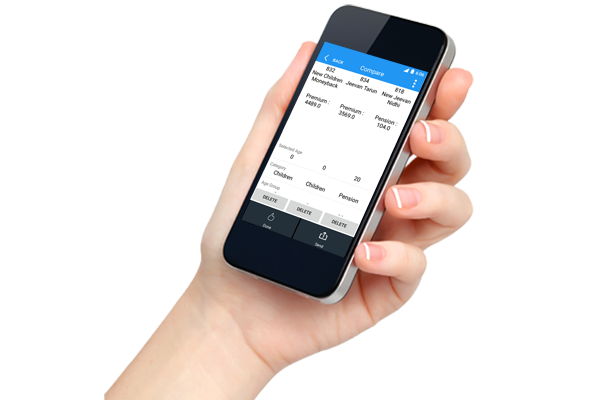 The App automatically calculates loan amount for the customer according to their policy values. 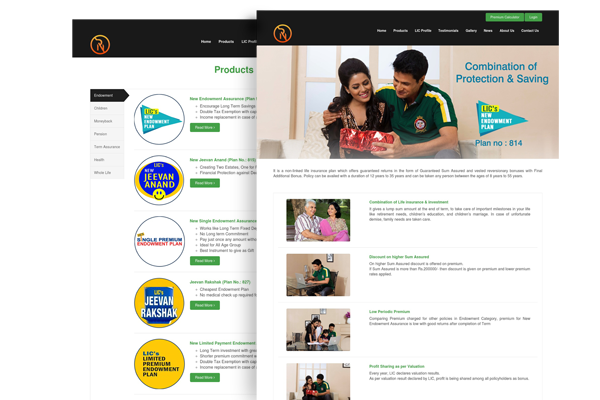 Videos for understanding insurance policy concepts as well as for selling & Marketing your insurance business more effectively through most popular mentors in insurance industry. 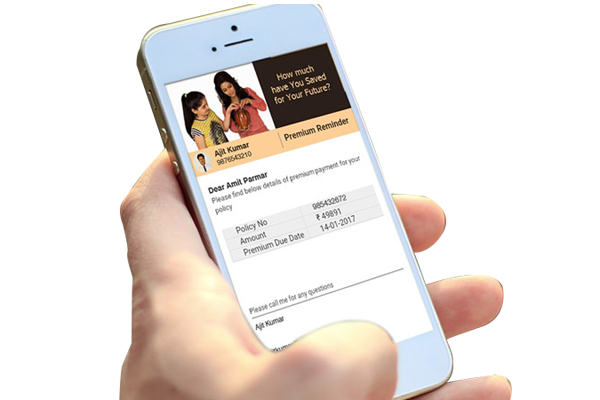 You can get reminders for birthdays, anniversaries, premium due date, policy maturity date, money back and proposal. We give 600+ reasons for you to wish your customers or prospects. We remind you for all these dates every day. You can send them your wishes with preformatted emails, SMS or eGreetings.